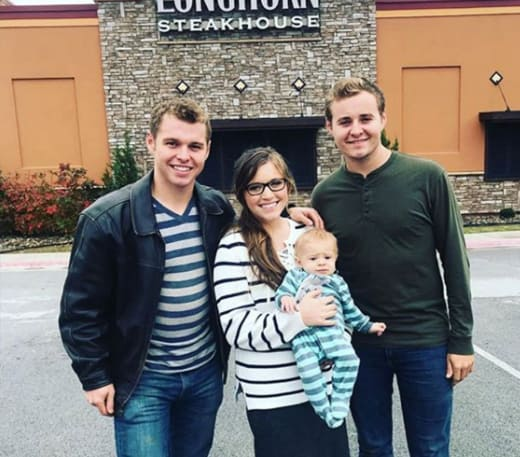 This Duggar Star Is Pregnant With Another Baby!? Recently one Duggar took revenge on the family! We know that the Duggars don’t wait for some settle down time to have babies! But Amy Duggar thinks differently. “I didn’t want to limit myself by just getting pregnant right off the bat and not exploring the rest of what my life could be. Babies are on our brain for sure, I want to be settled. I think it’s a boutique, and then a baby,” she tells to the sources. The year 2018 witnessed many baby arrivals! Joy-Anna welcomed their first baby Gideon, Joseph and Kendra also gave a gift to the family with the baby Garrett David Duggar. The Duggar-Vuolo family also welcomed the adorable baby, Felicity! So who’s next? A terrifying moment for Duggar star! 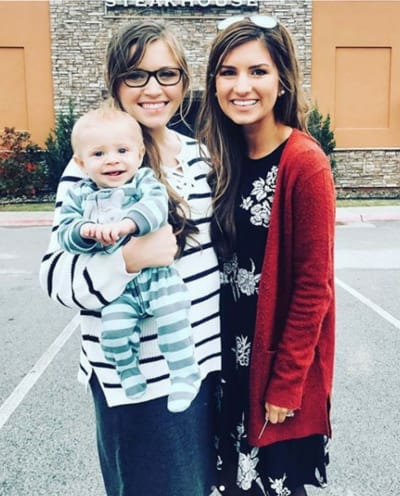 One of the unusual pregnancy was experienced by the Joy-Anna Duggar. As when sister Jana came over to check out the baby heartbeats she couldn’t feel the heart beats. After that, they found that they have the biggest baby in size. As you know C-section is a nightmare for the pregnant woman. But the baby came out to be healthy! After the first day, second in the line? We know that the Duggar can’t wait for the baby news! Well, fans are speculating that the Joy-Anna is already pregnant! But what made them think about the pregnancy? The photo above convinced the fans that Joy-Anna is expecting the baby! Fans overwhelmed the comment box. “I see a pregnancy announcement soon!! I have a feeling!” commented one follower “Me too I see a baby bump,” another bumped with the comment. But is she really pregnant? You know fans always have hundreds of opinions! Hence, fans also saw the different angle! They told that she is trying to the conceal the mid-section.“It takes a lot more than 6 months to lose baby weight,” one fan remarked.“She had a huge baby bump because she had a 10-pound baby.” another added. Disturbing Off-screen Scandals Revealed By ‘Jersey Shore’ Cast!